spring is here and what better time to learn how to clean and sanitize your makeup and makeup brushes? i am what you would call a bit OCD but my husband's a doctor who doesn't like when i self diagnose, so let's just say i have OCD tendencies. keeping my makeup and my makeup brushes clean is one of them. raise your hand if you want bacteria, increased acne/breakout, risk of infection, herpes or any other virus your makeup can carry. keeping your making clean and sanitized is not only important, it is essential. for approximately $2 you can do just that. to clean your makeup you'll need: alcohol, a small spray bottle (picked up in the Target travel section for 99 cents), a small cup/jar and some cotton. before you begin to sanitize your brushes you'll need to clean off the residue that makeup leaves behind. 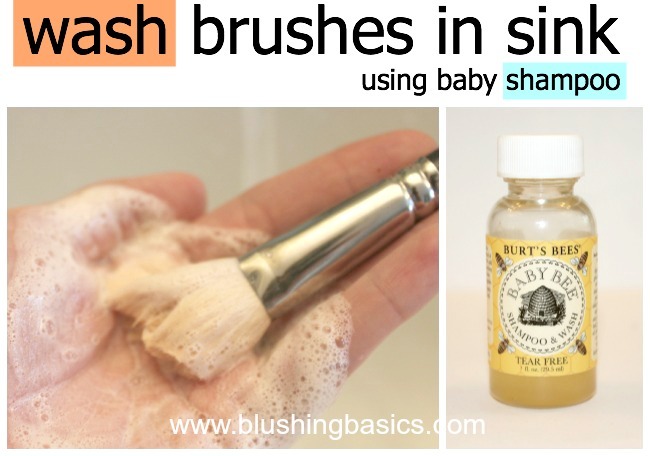 rather than investing in a pricey brush cleaner, baby shampoo works just as well and if you're a mom you probably have this laying around the house. apply a dab of soap to the palm of your hand, briefly run your brush under the tap and then swirl your brush in the palm of your hand. this will gentle clean the bristles through the entire brush. rinse under luke-warm water and lay on a towel to dry. sanitizing your brushes has never been so easy. 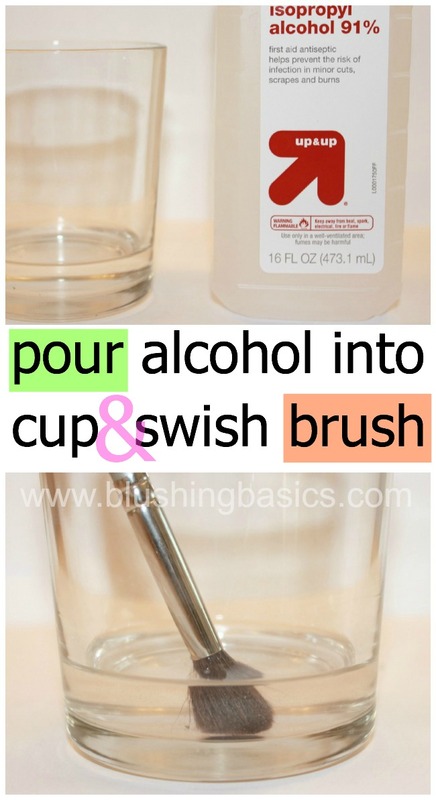 simply pour some alcohol into a small jar, dip your brush tip in and swirl for a few seconds. wipe off any remaining alcohol and lay flat to dry. the alcohol evaporates quickly and your small brushes should take a short time to dry, however your large brushes will take a while. make sure to let makeup brushes dry completely before using or else you will get a nasty buildup. 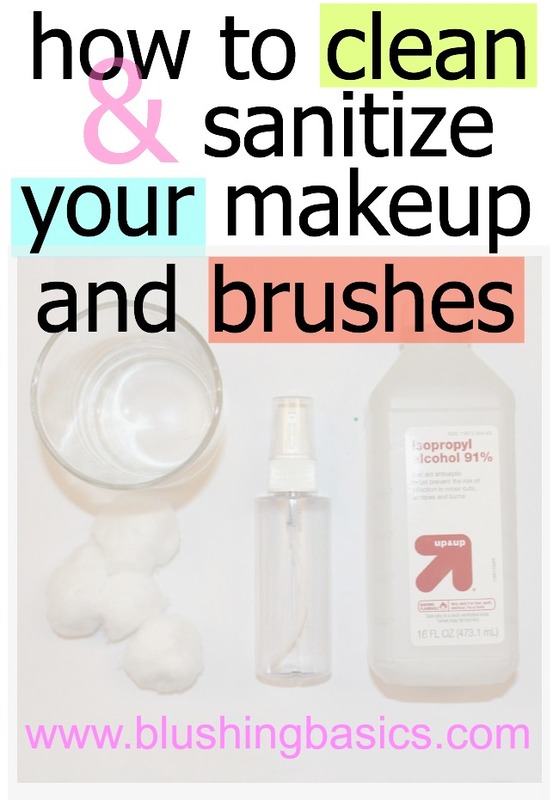 sanitizing your makeup is just as simple. pour undiluted rubbing alcohol into a small spray bottle. i found mine in the Target travel section for 99 cents. keep it filled constantly and sanitizing your powder/creams will be a cinch. 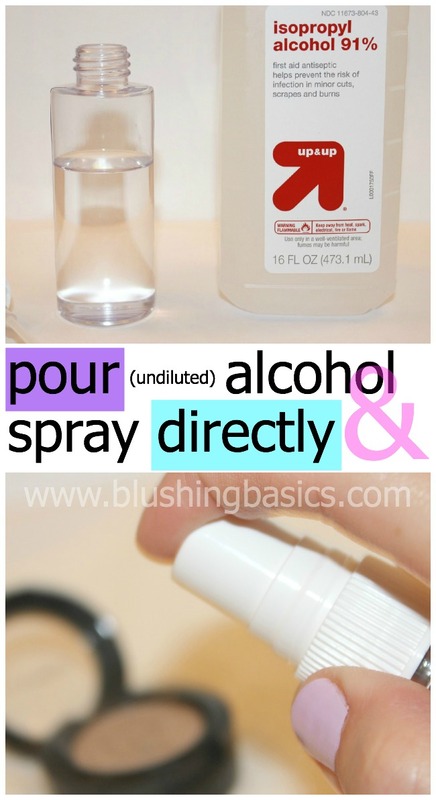 to sanitize, spritz alcohol directly onto makeup. make sure you've sprayed enough to coat completely. alcohol dries and evaporates quickly and will not damage your powders or creams. a few quick spritzes is all it takes to keep your makeup germ free. last you are going to want to make sure your containers are also germ free. 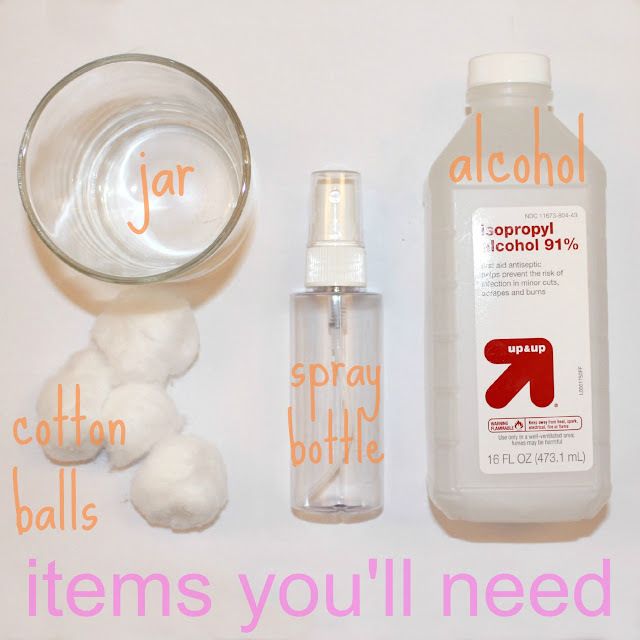 you can do this by soaking your cotton swab in alcohol and wiping down your containers. as a makeup artist, keeping your products clean and sanitized is essential. let's be honest, no one wants a virus.